The first Sunday of July is TBC Deacons’ Day. Thus, yesterday (July 6) after the Lord’s Supper, Deacons Ave, Arnold and Jojo were honored in a simple program. 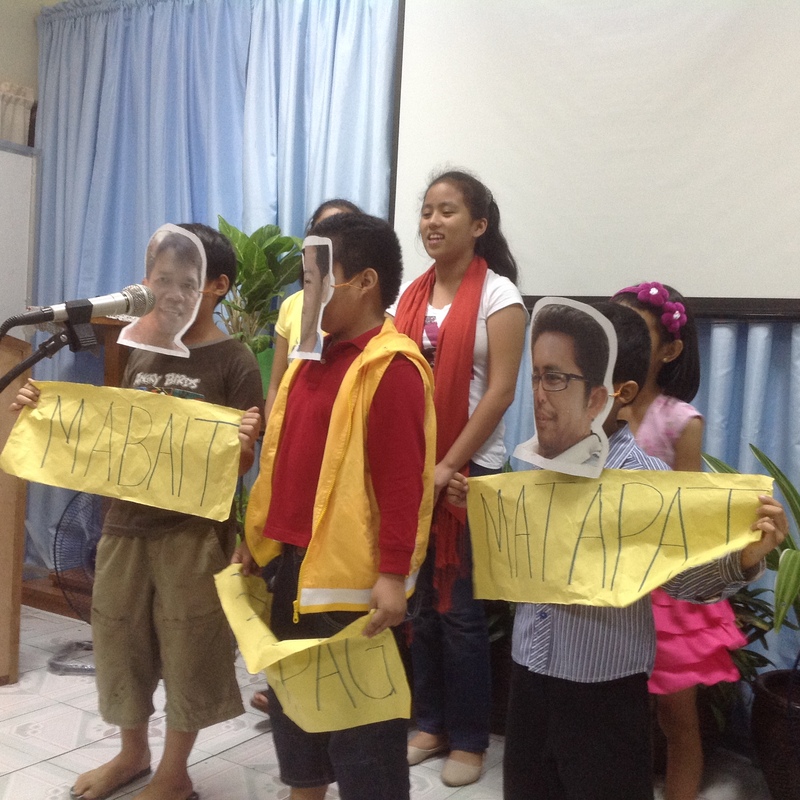 The children sang a song that captured the deacons’ faithful and selfless service to the church. Sisters Lena and Lyn directed the children in singing. Pastor Rodel emphasized that their service is indeed sacrificial considering that they don’t get compensation, and they all have full time jobs. The simple program was followed by gift-giving. Thanks be to God for TBC’s three deacons who are faithful, diligent and ready to serve.